Where can I find out more about careers in Social Work? 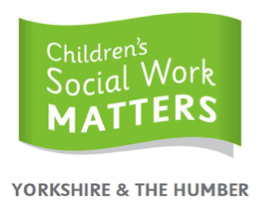 Children’s Social Work Matters (CSWM) provides information on how to get into Children’s social work, the different qualifying routes and roles available and job opportunities within the Yorkshire and Humber region. Take their quiz to check if social work is right for you. British Association of Social Work (BASW) offers guidance on what to expect from a career in social work, job application and interview advice and up to date information on social work reform. Health and Care Professional council is the current regulatory body for the social work profession. Social Work England will be the new regulator for social work in the future. Community Care for the latest social work news and jobs. How long will it take me to qualify as social worker? Undergraduate degrees are four years and allow you to gain a Masters-level qualification which is highly valued by employers. Postgraduate Masters degrees are two years. What does the university admissions process involve? Both of our university partners invite shortlisted candidates to attend assessment days that have been co-designed with local authority partners and services users; these provide an opportunity for us to learn more about your motivation to become a Social Worker. At the assessment day you will hear more about the degree programme, the Teaching Partnership and meet with current students and practising social workers. The day will include a variety of activities, including a face to face interview, where you will be assessed by academic tutors, experienced professionals, and service users and carers. Where will I go on placement? Private and voluntary organisations who undertake statutory social work tasks. What opportunities are there after my degree? ASYE support groups and in-house learning and development opportunism. We hope you have found this useful. Visit our learn with us page if you are interested in becoming a Social Worker with our partnership. Sign-up and be the first to hear about the latest Yorkshire, Urban & Rural Teaching Partnership news.